John Jenkins is a Partner with Calfee's Corporate and Capital Markets practice group. He advises publicly and closely held corporate clients on securities and capital market issues; mergers, acquisitions and divestitures; and general corporate law. He also represents companies and individuals involved in Securities and Exchange Commission and stock exchange investigations and enforcement proceedings. John’s experience includes representing issuers and underwriters of debt and equity securities in more than 100 underwritten public and Rule 144A offerings; negotiation of mergers, stock and asset acquisitions and divestitures involving private and public companies; counseling directors on fiduciary obligations in connection with proposed change of control transactions and disclosure obligations under the federal securities laws; and counseling investment bankers in connection with mergers and acquisitions, fairness opinions, financings and other engagements. He has represented targets of SEC, SRO and stock exchange investigations and enforcement proceedings and has served as counsel to corporations and board committees conducting internal investigations involving allegations of misconduct. John has experience representing clients ranging in size from start-ups to Fortune 500 companies, and his practice has included representation of investment banks and other financial institutions, consumer products companies, multinational manufacturing businesses, software and technology companies, and domestic and international oil and gas exploration and coal mining companies. 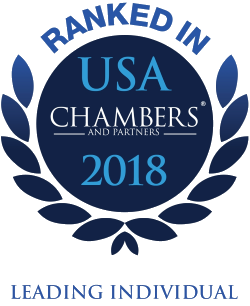 John has been recognized as a leading attorney in Corporate/M&A by Chambers USA. In 2018, researchers reported, "John Jenkins is regarded as an expert securities lawyer, earning acclaim for his ‘phenomenal technical knowledge of SEC rules and regulations.’ His clients include corporate entities, financial institutions and boards of directors.” Best Lawyers in America 2019 recognized John in the areas of Corporate Law and Securities/Capital Markets Law. IFLR1000 2018 ranked John as “Highly Regarded-Ohio” in the areas of Capital Markets: Debt and Capital Markets: Equity. He has taught mergers and acquisitions law at Cleveland-Marshall College of Law and has been a guest lecturer at The Weatherhead School of Management, Case Western Reserve University. John also has served as chairman of the Securities Law Section of the Cleveland Bar Association, and as a member of the Catholic Diocese of Cleveland Budget Committee and Canisius College Board of Regents. He is also on the Board of Directors of the Western Reserve Historical Society. He is a frequent author and speaker on securities and corporate law topics. His articles have appeared in publications such as The Business Lawyer, Business Law Today, The Corporate Governance Advisor and Deal Lawyers. John began his tenure with Calfee in 1986 and was elected partner in 1996. Representation of Sandler O’Neill + Partners in connection with a $100 million debt offering by Old National Bancorp, a $19 million registered equity offering by United Bancorp Inc. and a $15 million registered equity offering by Farmers National Banc Corp. Representation of National Bancshares in connection with its $75 million sale to Farmers National Banc Corp. Representation of Alcoa as Ohio counsel in connection with its $1.5 billion acquisition of RTI International.